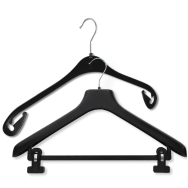 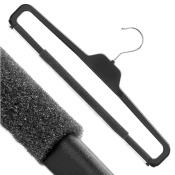 Welcome to the Hanger Interkontakt Plastic Hanger page, which offers you a wide diversity of quality and value in the world of plastic coat hangers - just what you're looking for to resolve your wardrobe issues and make life easier and more stylish. 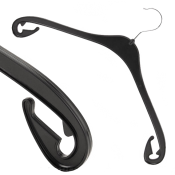 Whether you want slim high density hangers for your shirts a multipurpose all in one hanger, a high shoulder non-slip knitwear hanger, a practical clip hanger or something for your intimates, we've got what you're looking for at great value! 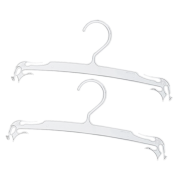 Our plastic clothes hangers are made exclusively from high-grade, durable plastics with guaranteed long-term colour fastness. However, it is not just the choice of material that is important for us. 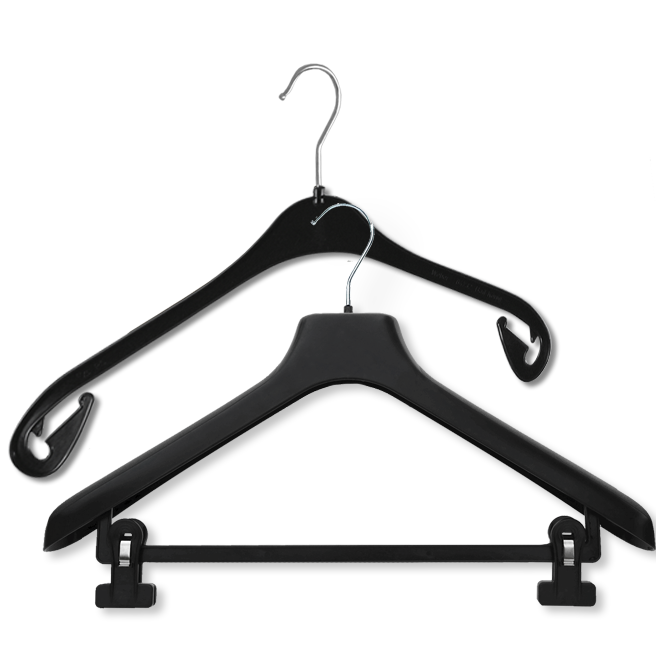 We also ensure that every single clothes hanger we manufacture complies with our quality specifications. 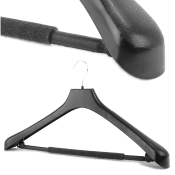 We offer practical swimsuits f..